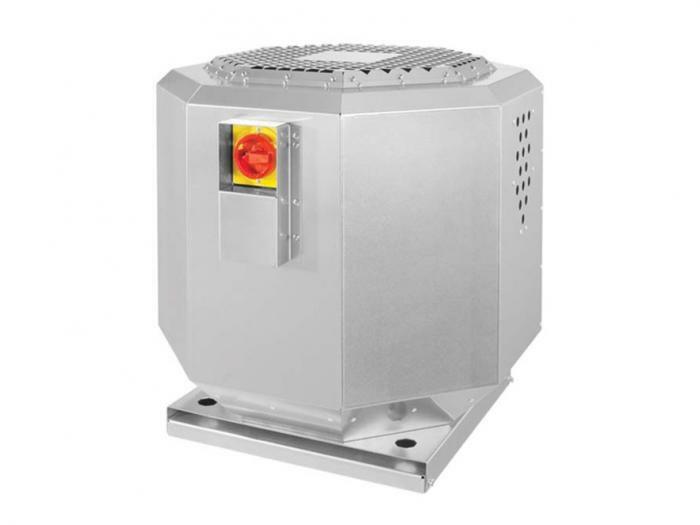 REF-546 Roof Exhaust fan with vertical outlet is applicable for industrial kitchen exhaust with medium temperatures up to 120°C. Suitable for standard and all kitchen applications. Outer casing made of seawater resistant AlMg3. Motor outside of air stream.